In International Removals we have a specialized removal service to Andorra. Picking up your load in any place of Spain, with departures every week to Andorra. It consists in deploying all the belongings of the customers in a vehicle. The pickup date is determined by the customer and shipment date is set by the company. 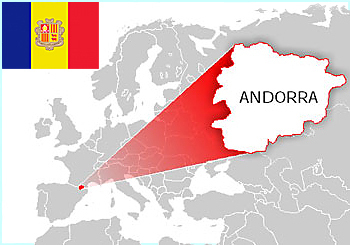 Most frequently used by students and people that move out or return to Andorra with only personal belongings and not furniture, every 7-10 days we have round trips to Andorra and it is always available. More economic than exclusive service. Dismantling- furniture assembly, furniture protection, fragile packing, door to door service, furniture storage, etc. Contact Us and request more information for your removal.